Look at the only car charger that you will ever need! Hey there. How many of you have a car charger to charge your mobile devices? I'm pretty sure most of you raised your hands. How many of you figured that they are all the same and it doesn't matter what kind of charger you have as long as it charges your phone? Well friends, you are WRONG! It definitely matters! I've tried many USB port car chargers and I've seen others use theirs. What I come away from those experiences is that most of us struggle with the car chargers. Either the car charger is under powered or your device is unsupported. The last thing I would have expected is to have multiple car chargers for different devices! Well, fear not, friends! Mpow has all of your devices covered! 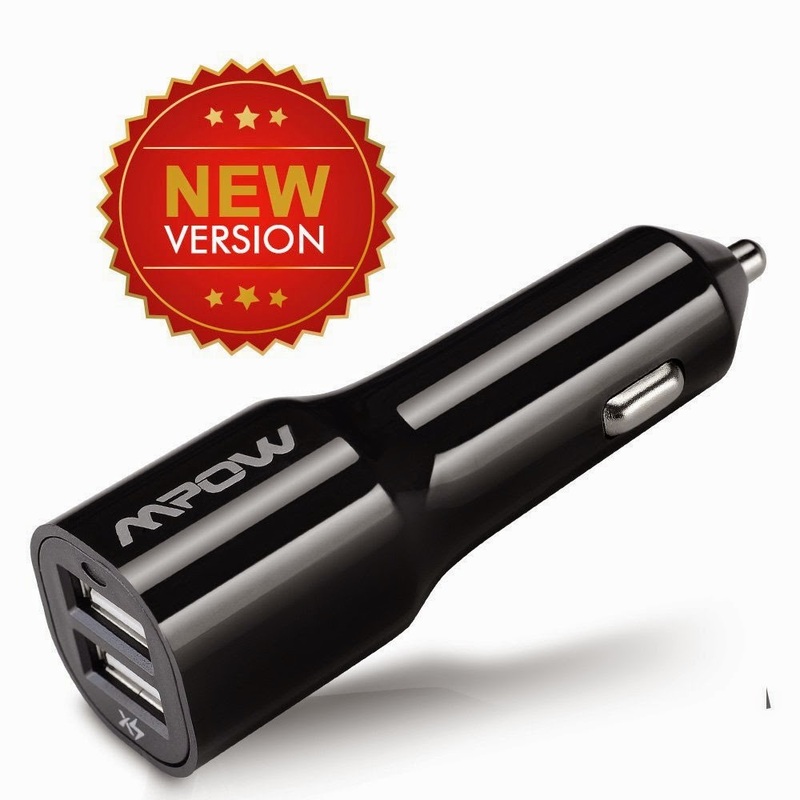 All you need is the Mpow Dual Rapid USB Port Car Charger with Xsmart Technology! 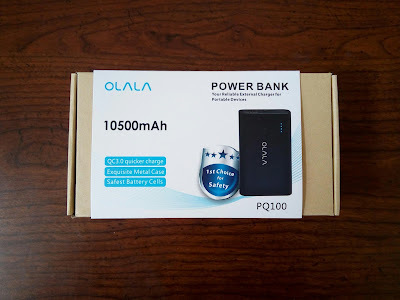 Our good friends at Mpow provided me with one to test out and review and after having weeks with it in my car, I can definitely say that this is one of the best car chargers that I have ever had! Before I go into my experience, let's talk specs. Xsmart Technology helps each port identify the connected device for the most efficient and maximum charging rate. Up to 3 amps per USB port, exceeding the current speeds needed for 1.2, 2.1, and 2.4 amps, and allowing the possibility to charge speeds created in the future! Smart circuit design that automatically protects your device from over charging, over heating, and provides the correct amount of current charge to avoid frying your device. Before I get into my experience, let's talk about the design. The design of the Mpow Dual Rapid USB Port Car Charger with Xsmart Tech is slick. It's definitely an upgrade from the 3.4 amp dual USB charger that Mpow had. I wasn't a fan of the grey ring that protruded near the USB ports. This design eliminates that ring and gives the car charger a very modern look. I simply love the black glossy finish and it gives off this stylish aura. Also, I love that the USB ports have a single "XS" symbol. No more do you have to make sure that you plug into the "high powered" port or fumble around trying to read the amps per port. A simple design that is extremely effective. Lastly, a single red light will come on once it's plugged into the car to indicate that it is ready to charge. Great design, Mpow. Great design indeed. Great! This product looks good but doesn't it get the job done, Metallman? Glad you asked! It sure does, my friend. It sure does. I am completely in love with the Xsmart Technology that is featured with this Mpow Dual Rapid USB Port Car Charger. I simply cannot stress enough how efficient it is. As mentioned in the intro, I've had quite a few car chargers and they each have their ports labeled. Using those car chargers, I would have to make sure that my device was good to receive a charge from that port. If the charge was not strong enough, well... guess what... no charge. If my USB wire was not up to snuff (more on that in a minute), there would be no charge. With Xsmart Technology, it eliminates ALL of the guess work. It doesn't matter what device you have, it doesn't matter which port you plug into, you will get fast charging times because this Mpow Dual USB Car Charger is smart enough to flow the correct amount of power for optimal charging. Now, that is freakin' awesome! You want an example? Here it is. No USB Port labels here. Just XS for freakin' fast! I was able to charge a Kindle Fire HD and a Samsung Galaxy Smart phone WHILE in use using this great car charger!!! You see, I live approx. 80 miles north of Los Angeles and I often drive to work and to visit family practically every week. That means driving for close to 2 hours with a family of six, each one with a mobile device. It's inevitable that something will need to be charged sometime during our trip. I can plug in the Kindle Fire HD, play a movie for my 5 year old son and have my wife's smartphone plugged in and have them BOTH charge while in use. That just didn't happen with other car chargers. As a matter of fact, I would actually see my battery drain while plugged in to the other car chargers when the device was in use!!! Especially the Kindle Fire or other tablet. I simply did not have that problem with this Xsmart Tech powered Mpow Car Charger. That alone is enough to go out there and buy it, friends!!! But Mpow decided to sweeten the pot. How? By having your back and giving you peace of mind. Over charging can fry your device. It's the main reason why many devices now have a built in warning telling you to unplug your device from charging once it's full. This Mpow Dual Rapid USB Port Car Charger with Xsmart Tech will automatically stop charging your device once it reaches full charge! Absolutely no worries about over heating or over charging your device. I LOVE THAT!!! Often times, I'll plug in my phone to charge and just leave it there. It's not like I can use it while driving so I won't bother grabbing it. Knowing that it'll automatically stop charging when full is great for someone like me. Last thing I want is a small fire because my phone overheated. I want to say that's an exaggeration, but it's not, friends. If you over charge and over heat your device, it is capable of bursting into flames. Again, just something that you do not have to worry about if you own this great car charger! Plugged in and ready to charge! Now, I mentioned USB cables above. I strongly recommend that you use the USB cable that came with your device or use a GOOD cable, not a cheap dollar USB cable. The difference is the amount of current that it can carry. If your device is not charging when plugged in, you most likely have a cheap USB cable that cannot handle the charge for your device. THIS IS NOT THE CAR CHARGER'S FAULT! All the Xsmart Tech in the world cannot make a cheap USB cable great. If a USB cable can only carry 1.0 amps of current, you cannot use it to charge a tablet that requires 2.1 amps. It's just that simple. If you find that your device is not charging, get a new cable or use the cable that came with your device! Awesome! Awesome! Awesome! Nothing more can be said about how awesome this Mpow Dual Rapid USB Port Car Charger with Xsmart Tech is! Charge 2 devices at a time, charge and use at the same time, Xsmart tech will make sure that they have the fastest and most efficient charge, and you don't have to worry about overheating and frying your device. And if you act now, you can pick up one these bad boys for UNDER $10 at Amazon! Don't pay more for an inferior device, head on over to Amazon and grab this great car charger. It'll be the only one you'll need! Later!